Learn how to choose and register for classes, how you can get a head start, where to get help and things you need to know before September at U-Start. U-Start is offered in-person and online with dates in May and June, leading up to the opening of class registration for the Fall and Winter Terms. All new admitted students are recommended to participate. The U of S, situated on Treaty 6 territory and the homeland of the Métis, has hosted a powwow on its Saskatoon campus for almost 30 years. 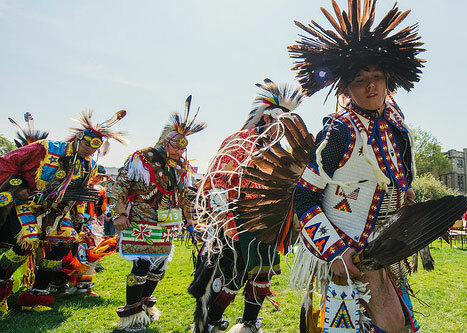 Since 2009, the Powwow has been held in the spring to celebrate the academic achievements of graduating First Nations, Métis and Inuit students from the U of S and Saskatchewan high schools. Orientation is an event for new students in the Colleges of Agriculture and Bioresources, Arts and Science, Education, Engineering, Kinesiology, Graduate and Postdoctoral Studies, Edwards School of Business and St. Thomas More. Make friends, get familiar with campus, find your classrooms, learn about your college and have a chance to win great prizes. 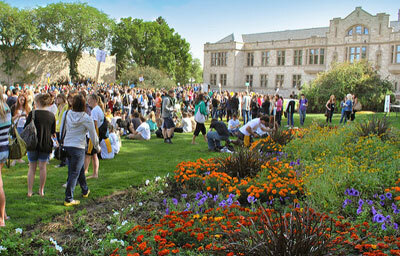 Open House is your chance to experience life as a University of Saskatchewan student! Prospective students, counsellors and parents are invited to attend. Indigenous Spend-a-Day is a one-day event held at the main USask campus for Grade 10, 11 and 12 First Nations, Métis and Inuit students. Through interactive sessions, an Indigenous USask student panel and an information fair, students will learn about the program opportunities that have made USask the choice of more than 3,100 current self-declared Indigenous students.